The greatest fallacy of our time is that businesses exist solely to profit. A profit-first motive feeds self-interest, politics, and short-termism. It saps the competitive strength out of any business. Yes, of course, you must make a profit to grow your business and be sustainable. But it mustn’t be your reason for being in business. Those who think profit should be a business’s prime focus simply want to profiteer from the efforts and talents of others. Don’t let them. Today and always, businesses exist to Compete. Join a community of entrepreneurs who are committed to being in businesses that Compete. We are Entrepreneurs+. Businesses that Compete are focused on being the best they can be, and building their capability to always win. Profit is an outcome – it is not the motive. They understand there is an engine that drives the capacity of their business to Compete. This engine sets the floor and ceiling to your success and holds the answers to a business’s performance and any performance problems. It requires thinking strategically, building real growth, and creating decisive competitiveness. It starts with understanding your competitive engine. Do you want your business to Compete? Become An Entrepreneur+ To Find Out How. We have all but forgotten how great it is to lead and work in businesses that Compete. The thrill and challenge of doing better every day. Of actually going to work with a purpose greater than yourself and working with the best, at their best. Deliver greater customer value every day, it’s the cornerstone of who they are. Continually seek and find new opportunities. Have leaders who thrive in and are fulfilled by the business. Their employees feel great pride and passion in their work, and the opportunities it provides them. And their customers are committed followers and supporters. As for profit – they’re highly profitable, they throw off free cash flow, and their capital value is compounding. And all of this because they know how to Compete. Is this the type of business you want to be in? How Do I Make My Business Compete? If you’re committed to making Compete your motive for being in business then join a community committed to being businesses that Compete. Compete Weekly, an e-newsletter that provides unique insights on strategy, growth, competitiveness and leadership. It will teach you how to make your business Compete and take its performance to an entirely new level. 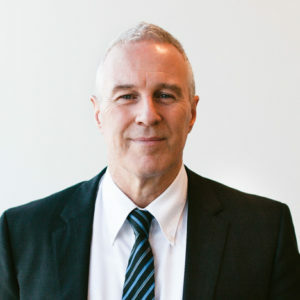 You can also request to receive Orienteering Succession a weekly blog for family businesses that guides leaders in building an enduring family business. 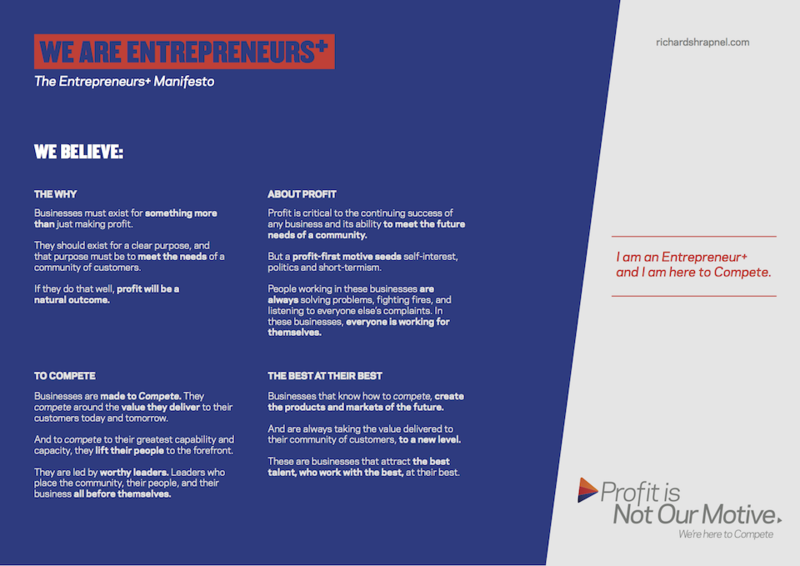 A copy of the Entrepreneurs+ Manifesto. Participate in Ask Richard, a channel for members to ask Richard questions on how to create businesses that Compete. Pre-order at member’s pricing, a copy of Compete – Activating The Competitive Engine In Your Business (due for release in May 2018), which includes a detailed roadmap on how to build the competitive engine of your business. Provided with advance notice and priority registration to the Compete webinar eries, which explores each element of the competitive engine. Receive priority member’s access to training workshops and seminars. Receive 15% member discounts on all Active Knowledge guides.